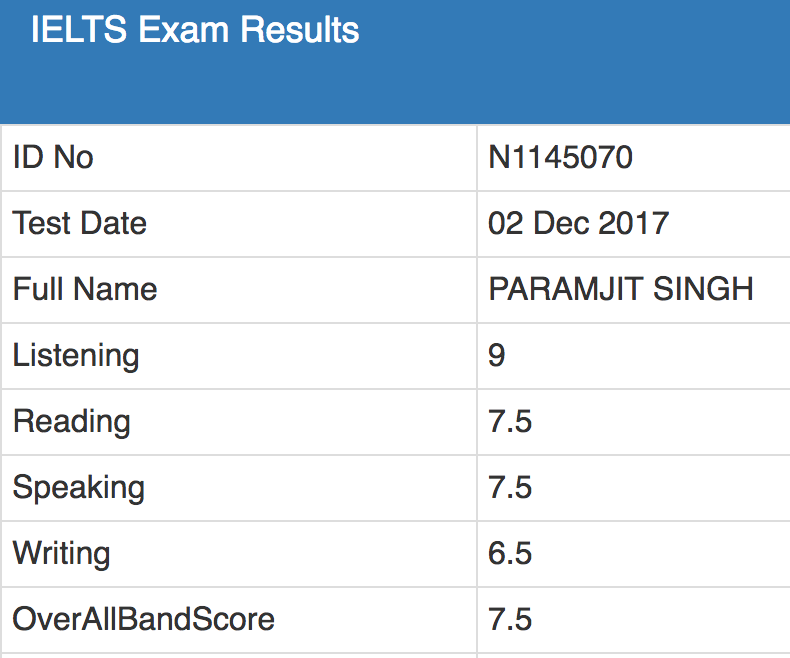 How Paramjit Cracked a Perfect 9 in Listening a 7.5 Overall! 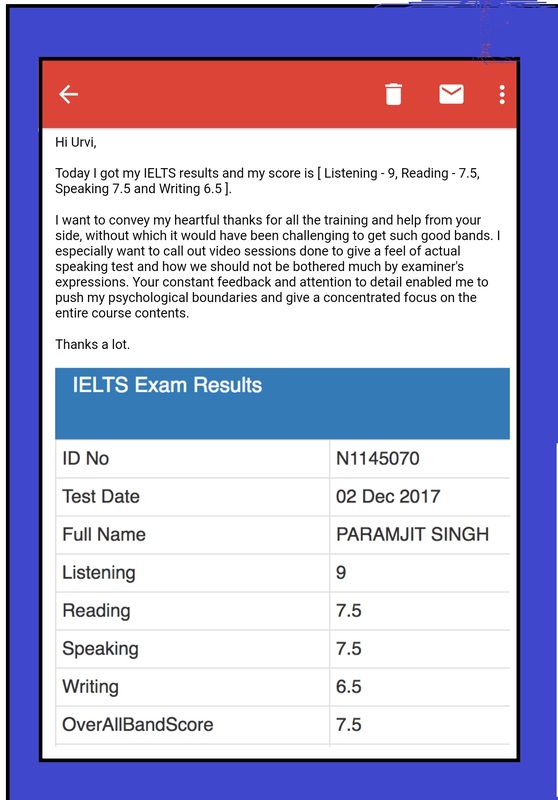 Paramjit had Enrolled with IELTS Ninja for the Extensive Course which Provides 25 Hours of one-on-one Training with an Expert Trainer for all the Modules which you are tested on in the IELTS Exam. 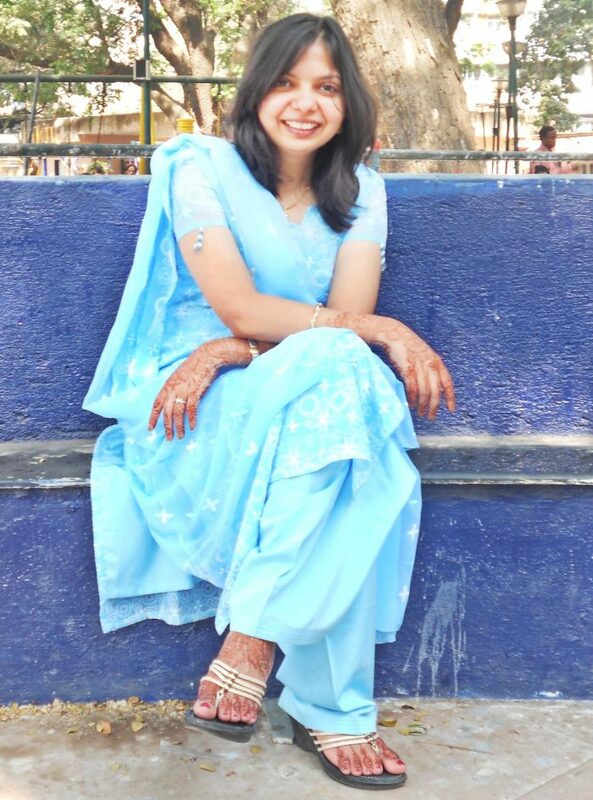 And a perfect 9 in Listening! Previous post How Kawkab Got a Perfect 9 In Reading and an Overall 8 Band! 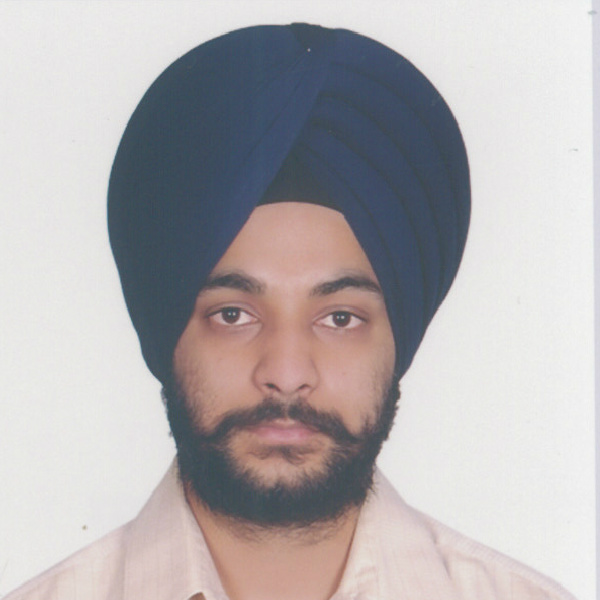 Next post How Khaleel Cracked PTE with 72 Overall!